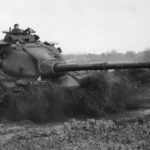 The British Conqueror Tank FV214 was the last of the Heavy Tanks built by the British. 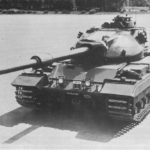 Built to support the medium Centurion Tank with its 120mm main gun, it was built-in 2 Marks (Mk). Both Mk shared the same hull and turret, but with minor modifications. 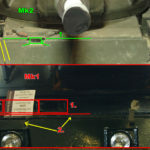 The Mk2 had a revised upper frontal glacis plate welds, a single Drivers sight, revised electrical cabling to the headlights and different exhaust. Despite the Mk1 hull also being used for the FV221 Caernarvon, the vehicle proved unpopular with British Tank Crews (as did the early Centurions) and had a limited service life. 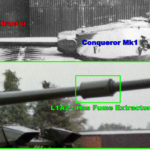 However, it was the first British Tank to feature a Hunter Killer capability, a feature that would later be used to distinguish a 3rd Generation Main Battle Tank. 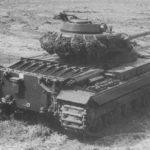 Entering production in 1955, a total of Twenty Mk1 and 165 Mark 2 Conquerors were built, including conversions of Caernarvon Mk II’s. Production continued until 1959 and served with the British Army from 1955 to 1966. 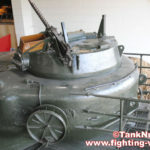 A few examples of both Mk1 and Mk2 tanks remain in museums in the UK, America and Russia. 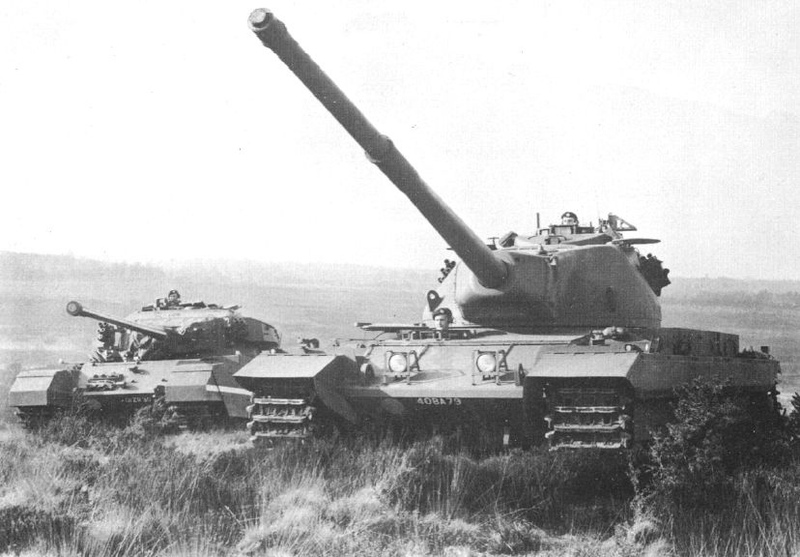 The Conqueror used the American M56 120mm main gun as used on the M103 Heavy Tank. This was designated the L1 and manufactured in two versions, the L1A1 (with no fume extractor) and L1A2, which had a fume extractor. The L1 used a 2-part ammunition. The bag charge (propellent) was contained in a brass shell. This was loaded into the breach after the projectile was first loaded. This was either a Armour-Piercing Discarding Sabot (APDS) or High Explosive Squash Head (HESH). The Gunner was equipped with the No.10 Mk1 periscope as his primary sight. The Commander had a sub-turret that traversed independently of the main turret. This enabled him to detect and track enemy targets independently of the Gunner. He could then press a button that would lay the L1 gun on to the target ready for the Gunner to engage. He could then move on to detecting the next target. This is refered to by modern standards as a “Hunter Killer capability”. This system was called the “Gun Control Equipment” on the Conqueror. 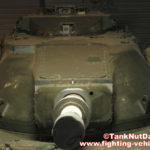 Conqueror was taken into service with known defects on the FCS and GCE part of this. One fault was that of the FCT “twitching” after line up. 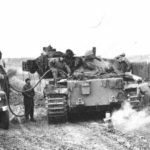 The War Office felt the faults were acceptable and the tank was issued, mods to GCE were carried out to rectify the issues, but the only real Conquerors that did as it said on the tin were the 7 Mk2/1H, these were deemed to work 100%. The Conqueror was an all steel construction. This was thickest at the front as shown in the diagram and would further rely on sloping the steel to increase its thickness. The Conqueror was powered by a 810hp Rolls-Royce Meteor M120 engine and Horstmann suspension. The Drive Sprocket is at the rear of the hull and Idler Wheel at the front. It has x8 Road Wheels and x4 Return Rollers. 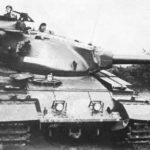 Despite its weight as a heavy tank, its mobility and speed was good enough for it to keep pace with the lighter medium Centurion Tanks it was tasked to provide anti-tank support for against the Soviet Joseph Stalin IS-3 heavy tank. The Driver was located on the right side of the hull. The Gunner was located on the right side of the turret and the Loader (Operator) was located on the leftside, with the breach in-between them. Located behind the breach was a mechanical ejection system for the empty brass shell. 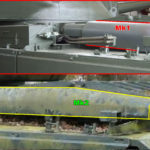 The explosive 120mm ammunition (HESH and charges) was spread below the turret ring in the hull. The APDS was mounted along the left side of the turret wall. The Loader also operated the radios mounted at the rear of his station. Located in the turret bustle (rear) was the Commanders sub-turret with its own large hatch. 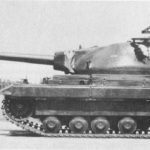 To assess the future armor requirements of a “future heavy tank” (potential successor to Conqueror) the Conqueror was subject to several trials against different current and in development ammunitions. This was not intended as an upgrade for the Conqueror. 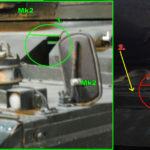 To get accurate results of the improvements of the future tanks armor, added armored plates were mounted across the hull and turret front, fixed with tubular spacing’s doubling up as spaced armor.